Rather than being written as a single, large and complex application, the Mappin development team have instead opted for a modular approach. This makes developing and supporting Mappin’s modules easier and also means that modules can be activated / deactivated with ease. 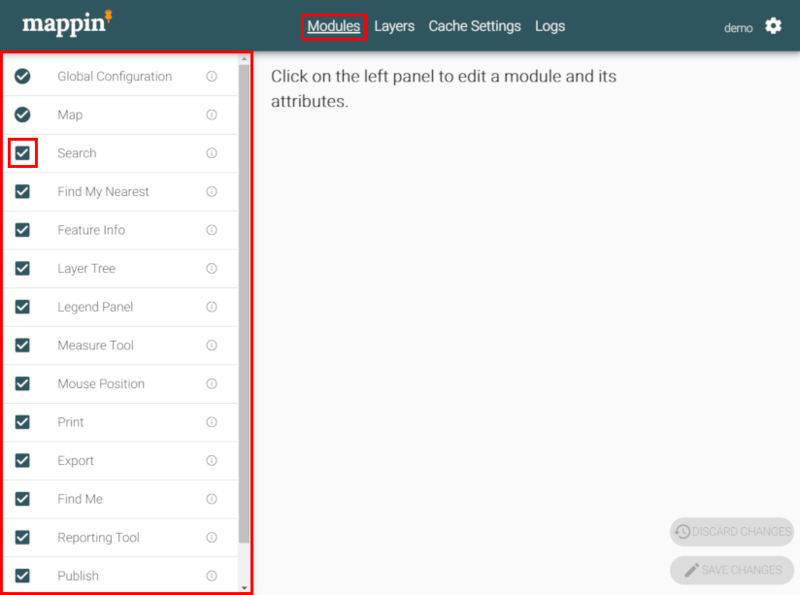 Clicking a module listed on the left will open its configuration settings, each of which are described in later sections. Notice the Global Configuration and Map sections cannot be toggled as they are a core concept in Mappin.